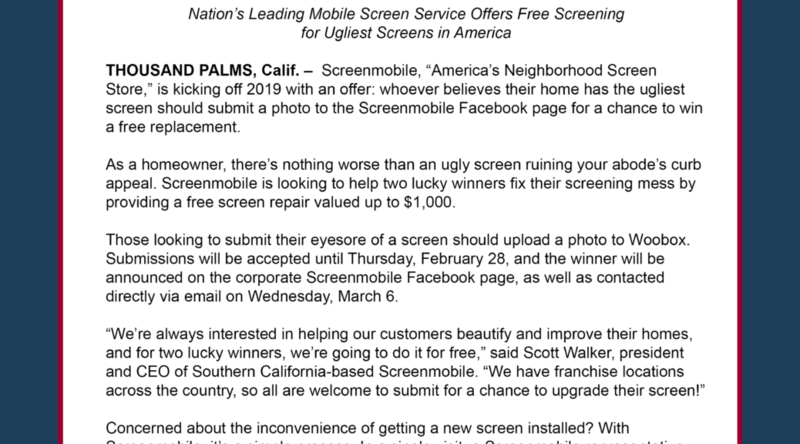 THOUSAND PALMS, Calif. – Screenmobile, “America’s Neighborhood Screen Store,” is kicking off 2019 with an offer: whoever believes their home has the ugliest screen should submit a photo to the Screenmobile Facebook page for a chance to win a free replacement. As a homeowner, there’s nothing worse than an ugly screen ruining your abode’s curb appeal. Screenmobile is looking to help two lucky winners fix their screening mess by providing a free screen repair valued up to $1,000. Those looking to submit their eyesore of a screen should upload a photo to Woobox. 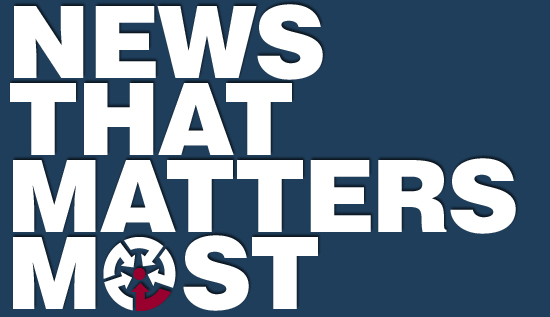 Submissions will be accepted until Thursday, February 28, and the winner will be announced on the corporate Screenmobile Facebook page, as well as contacted directly via email on Wednesday, March 6. Concerned about the inconvenience of getting a new screen installed? With Screenmobile, it’s a simple process. In a single visit, a Screenmobile representative arrives in uniform, then measures, manufactures, installs and tests the screens on site. Afterwards, Screenmobile follows up with proactive communication to ensure everything went smoothly. For more information on Screenmobile and its services, visit www.screenmobile.com. 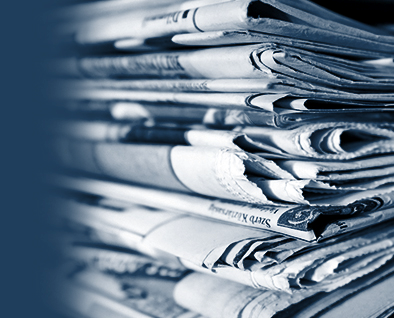 For information on franchising opportunities, visit https://franchise.screenmobile.com. Founded in Glendora, California in 1980, Screenmobile has successfully become the nation’s leading mobile screen service franchise, with 119 licenses across more than 26 states. Screenmobile has proudly been ranked on the Entrepreneur “Franchise 500” list for the past 12 consecutive years. Screenmobile specializes in window, door and patio porch screens, as well as solar shading products. 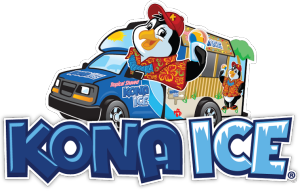 The company is dedicated to establishing responsible, lasting partnerships with franchise owners and pledges organizational support through progressive leadership, continual training and company growth. For information about Screenmobile, visit http://screenmobile.com.